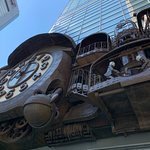 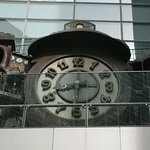 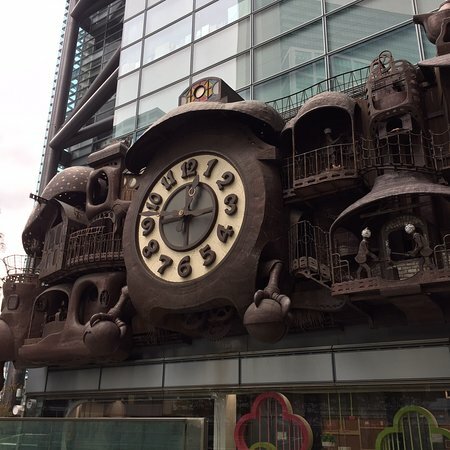 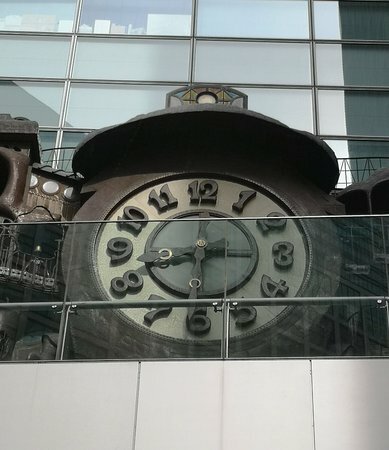 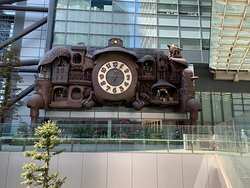 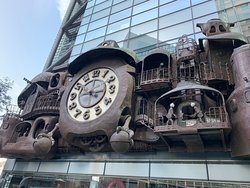 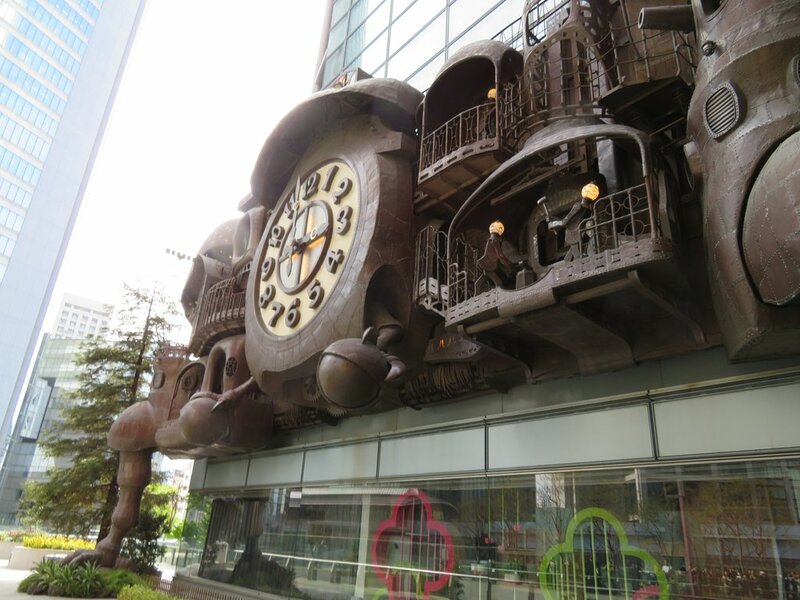 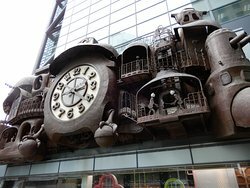 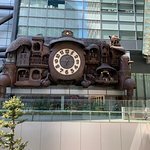 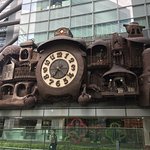 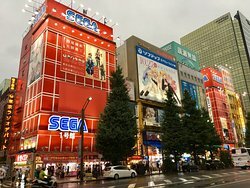 Hayao Miyazaki's Giant Clock was amazing! 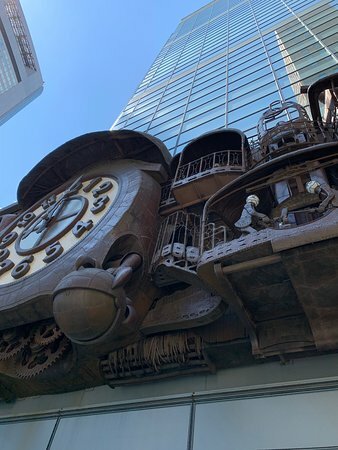 Just by itself it's a remarkable sculpture engraved within a modern building then it starts moving and becomes more awesome. 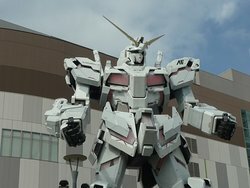 We missed the animated show, but it was well worth a look on the way. 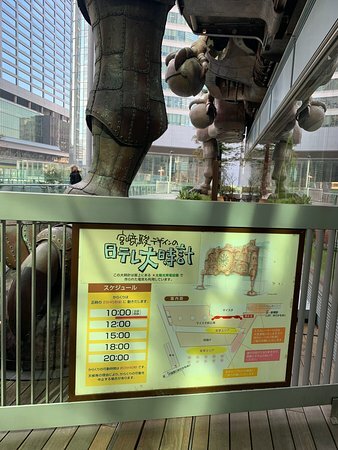 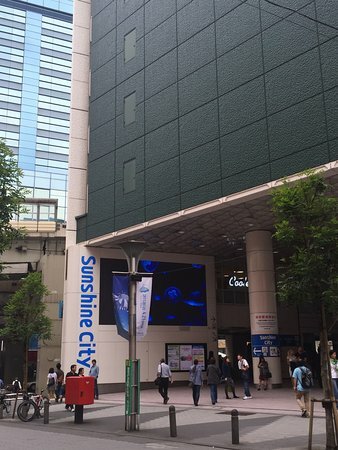 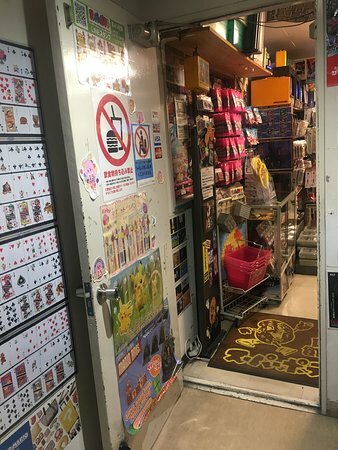 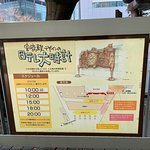 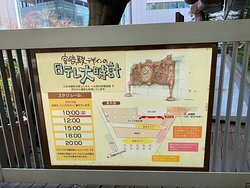 You can take the elevated walkway back towards Ginza. 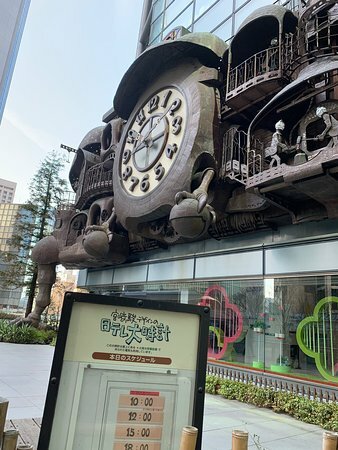 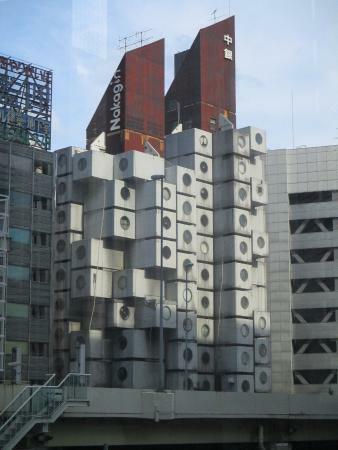 Get quick answers from Hayao Miyazaki's Nippon Television Giant Clock staff and past visitors.